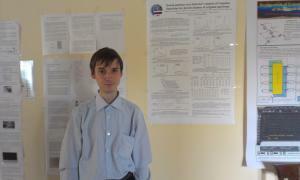 Project participants gave talks at annual RAS Nuclear Physics section conference, held in Protvino, Russia November 5–8. Two PhD students of the MEPhI SiPM Laboratory took part in the "Nuclear Electronics & Computing 2013" conference, held in Varna, Bulgaria. A. Novikov and A. Schustov presented their talks "Gamma-ray detector’s electrical signals digital processing technique" and "Xenon gamma rays detector’s matrix of response functions for deconvolution of original spectrum". Silicon Photomultipliers Laboratory site is now online.